With the objective of promoting the study and the diffusion of the Jacobean Route this Monday an agreement was agreed in Santiago de Compostela for the creation of the Institutional Chair of the Camino de Santiago and of the Pilgrimages. 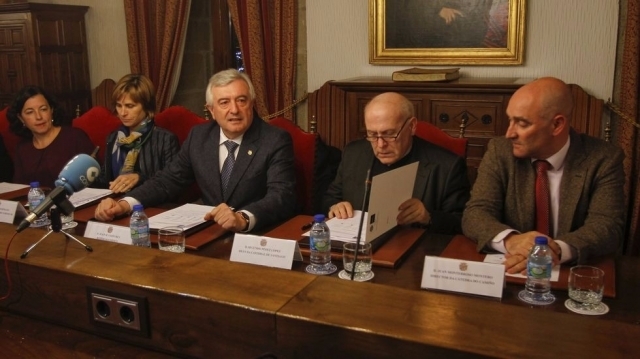 The agreement comes from the collaboration of Cathedral of Santiago, Tourism of Galicia and the University of Santiago de Compostela, entities that have signed an agreement to advance the Camino's research, "a key to the economic and social development of Galicia", according to say those responsible. The chair, which will have a grant of 40,000 euros by Tourism of Galicia, provides for the holding of courses, seminars or conferences and seeks the training of experts with a professional approach towards the investigation of the Camino de Santiago, as well as the direction and Planning of activities and tourist entities related to the Jacobean Route. In the words of the director of Tourism of Galicia, Nava Castro, the chair aims to become "an academic reference to come to Santiago to study and investigate" the phenomenon of research.